Super Skunk feminized is a very popular Skunk variety and has all good qualities because her genetics lie within the first Afghan and Skunk 1. Super Skunk grows very well indoors with constant conditions but due to her Afghan strain qualities she can handle a little stress or less weather conditions when grown outdoors. By now you may know that Super Skunk is a well improved version of Skunk 1, for example the yield is much higher same as the effect you get from consuming her buds, especially skunk lovers were happy with this one! Te buds grow thick with golden brown hairs and resin covers it from top to bottom. When the flowering period begins she starts spreading the scent we may all recognize as typically Skunk and even smoking these buds will take the skunk lover down to memory-lane. The influence of Afghan is noticeable when you consume the buds; the typical high body buzz has Afghan written all over it and stays with you for a longer period of time. Super Skunk feminized seed is a high-level cannabis hybrid strain; it is the result of the cross between the inbred, and highly resinous Skunk 1 with classical Afghani hash plant. It was introduced to the cannabis world in 90s and soon, won many cups due to high, best mostly-indica genes. It offers an easier method to develop world-class, finest-quality cannabis. Super Skunk is one of the most successful crossings in past twenty years; it has won several trophies soon after its launch and even today, it is still considered as favorite among expert or professional growers and smokers alike. It grows quite fast and would be near perfect in its production and size. One can grow this one to get rewarding yield of sticky nugs, without putting extra effort. The smoke from this feminized seed can never let you down. It is quite powerful and effective and a small quantity can kick out extreme pleasure when smoked. Known as all-round performer, Super Skunk feminized seed is one of the top hybrid strain for connoisseur or commercial growers. It always lives up its super potent, best vigorous, and great fragrant reputation. The feminized edition is remarkably excellent when cultivated from seed, producing mostly-female plants that exhibit regular bud formation and consistent structure from time to time. With little maintenance and support, it builds crystal-covered, colossal colas in greenhouse or indoors, and even outdoors under sunny, warm climate. When it comes to growing or smoking, a majority of votes go to Super Skunk feminized seeds. 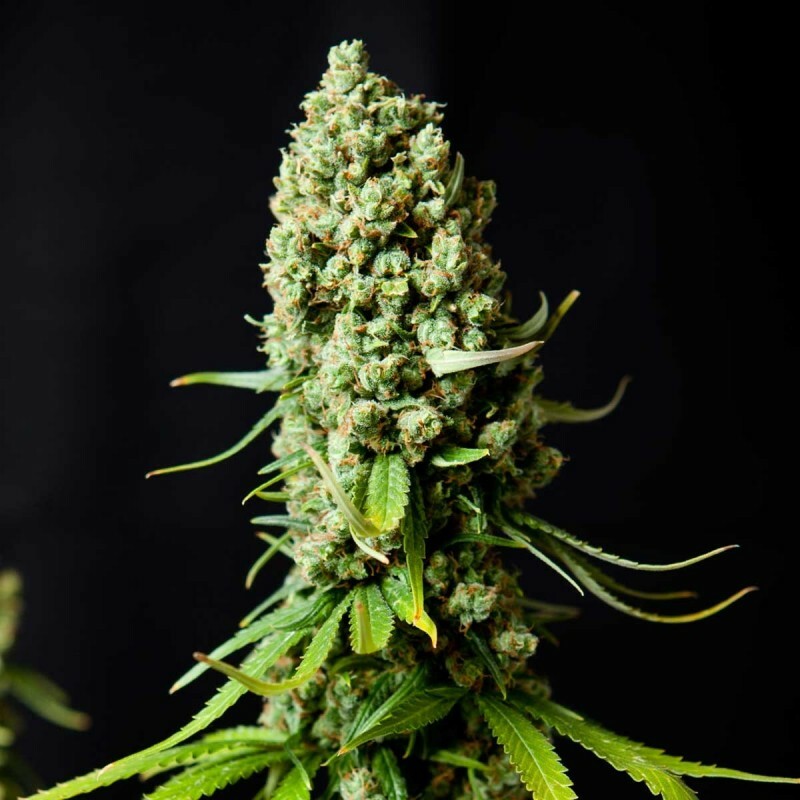 Being the upgrade of famous Original Skunk, it has equal sativa-indica properties that make it to flower at the earliest, thereby producing incredible harvest of highly powerful bud. The tiny leaves can produce dense flowers and buds that offer smokers greater potency and extremely strong high. am really shocked with the results, I smoke seeds every single day but this one has blown me away like anything else. The smell is too good. Right now, its 9 feet long and 7 feet wide, like a super grown tree, unbelievable. I think High supplies is one of the best found for supplying Super skunk seeds. I would reorder it again for sure in coming months. What is the difference between your seeds feminized and regular seeds. Regular seeds are male and female seeds together, feminized seeds you get only female plants, those female plants produce the weed flower to smoke.